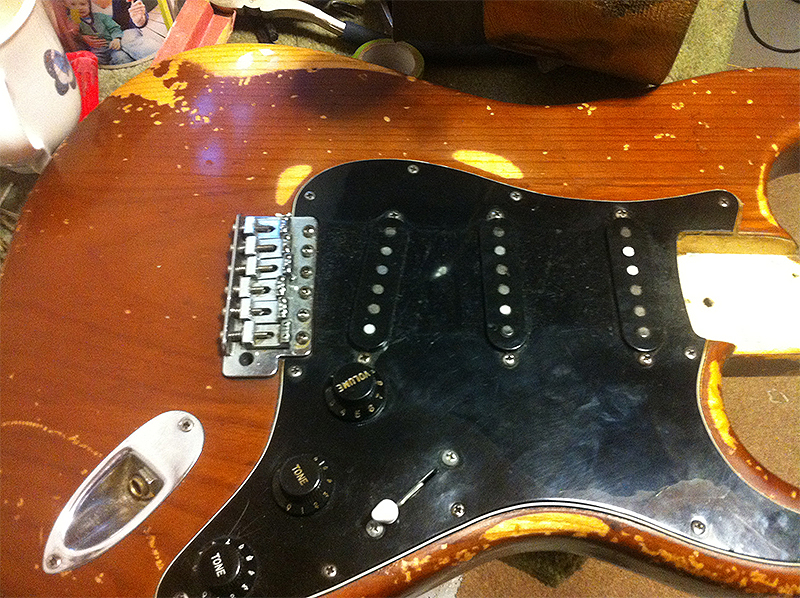 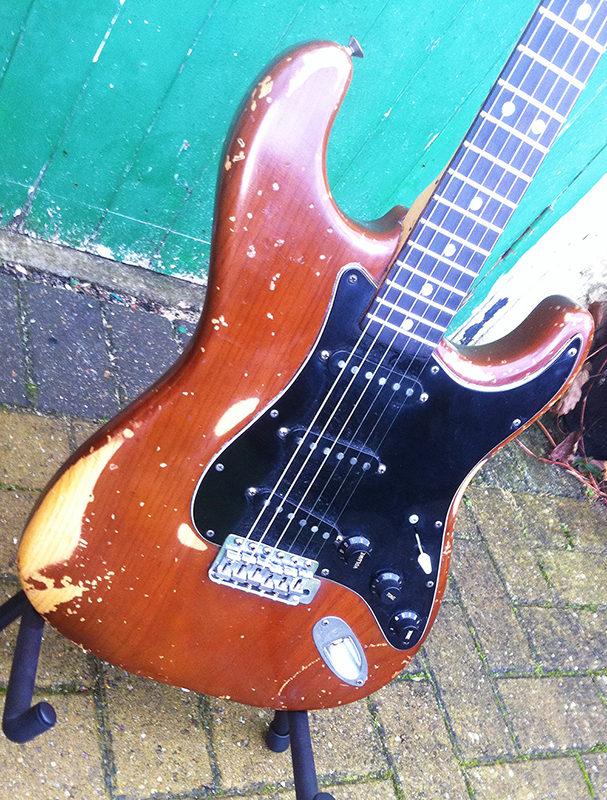 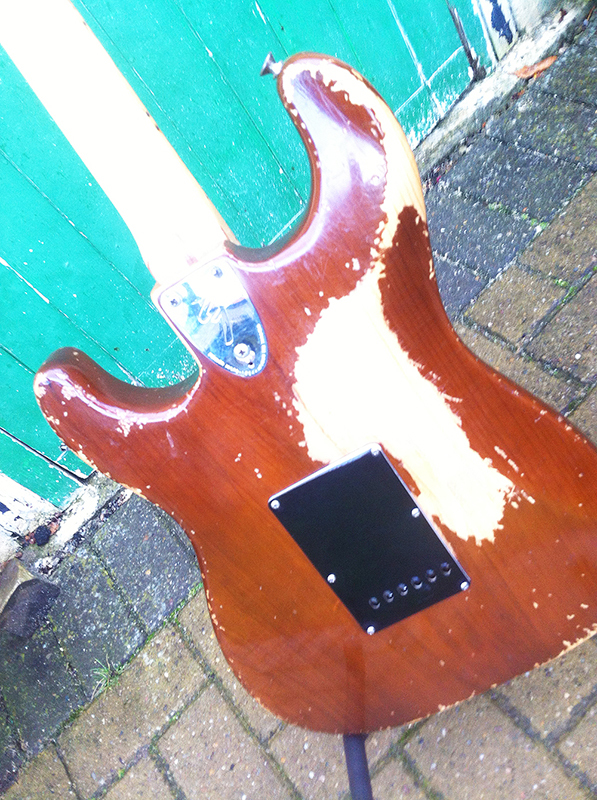 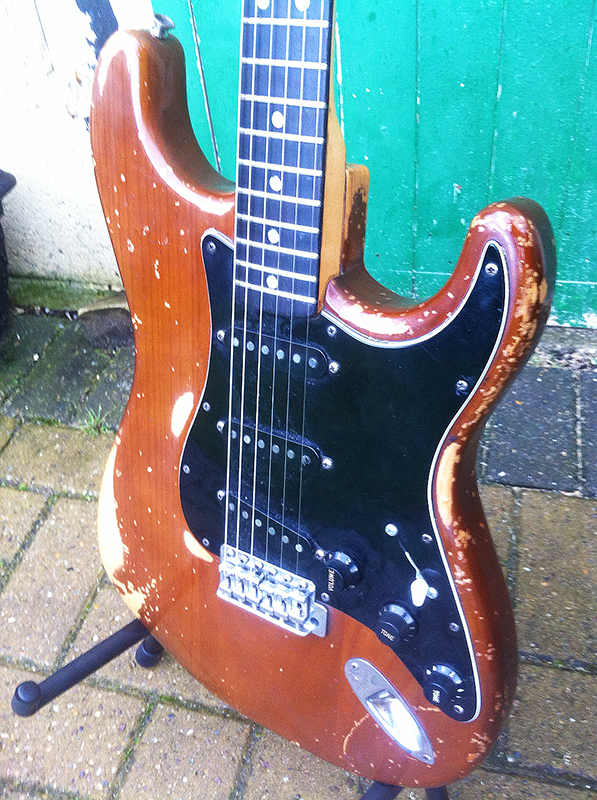 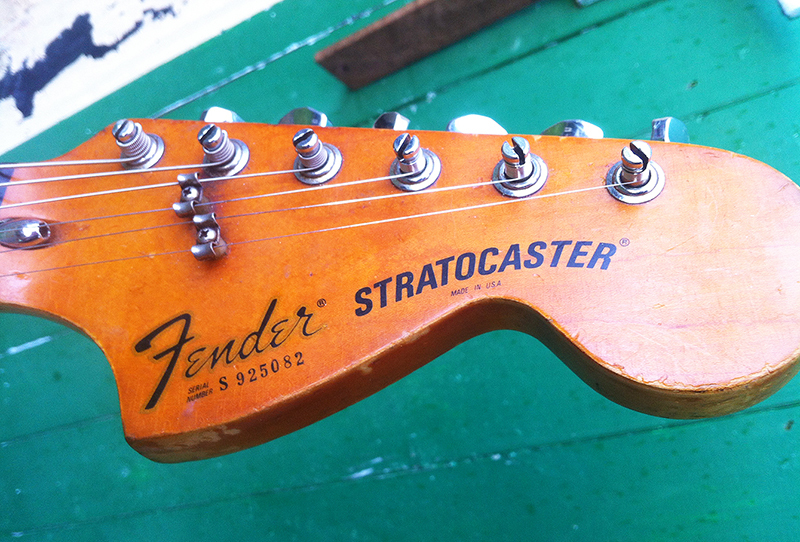 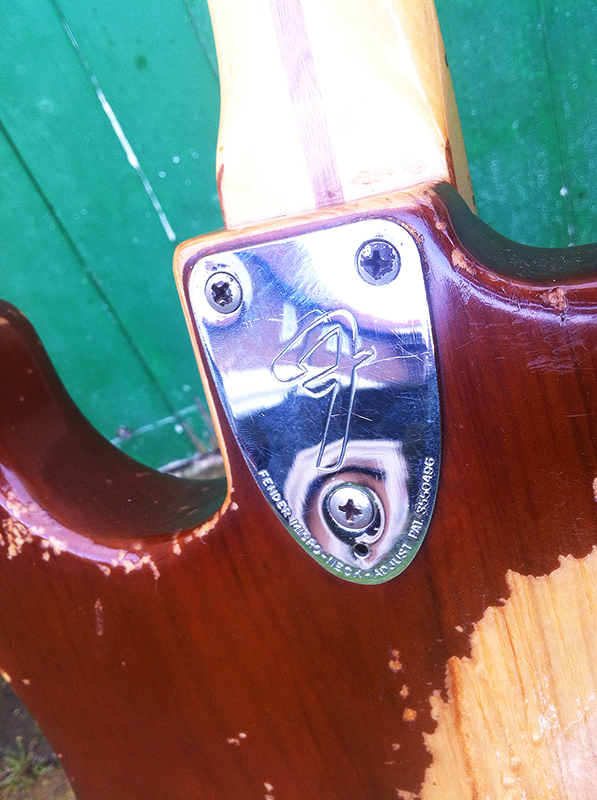 1979 3-bolt Fender Strat. 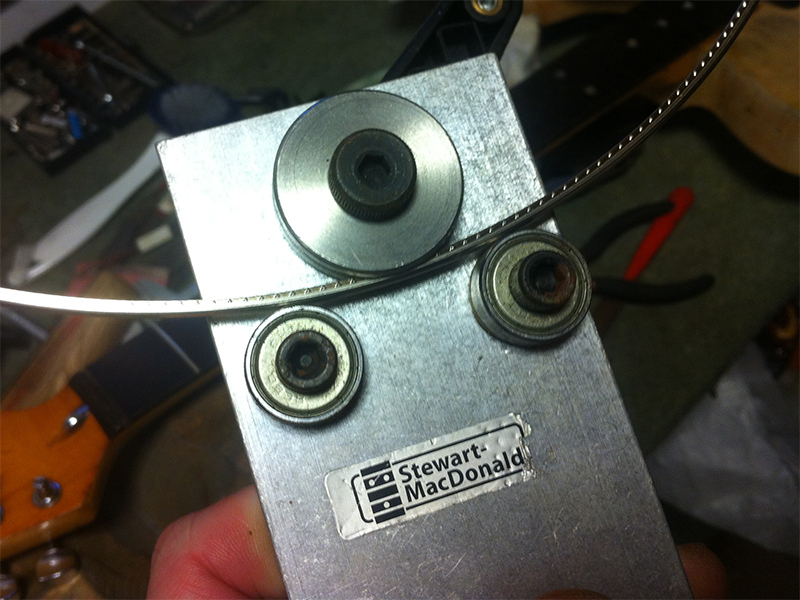 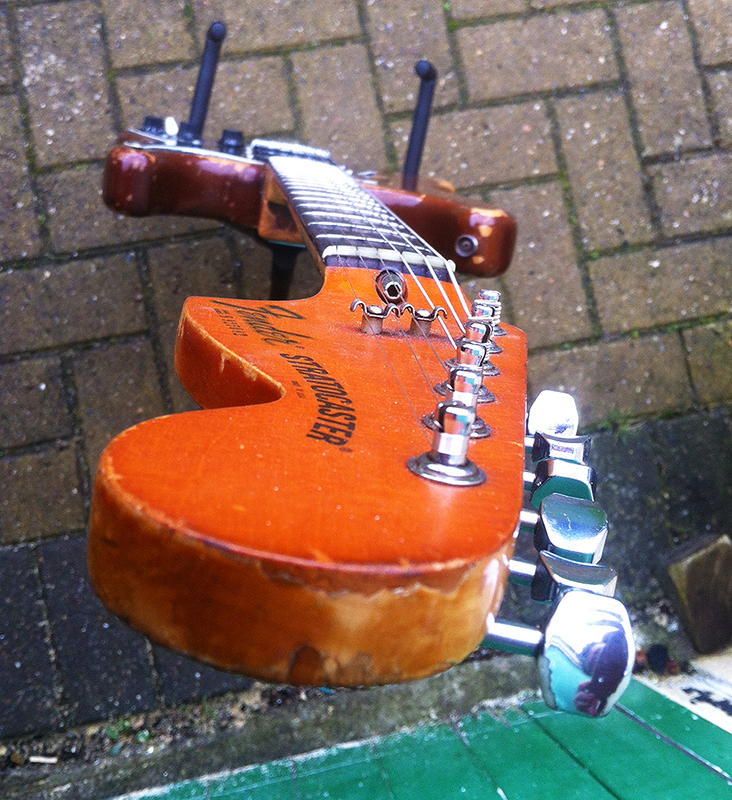 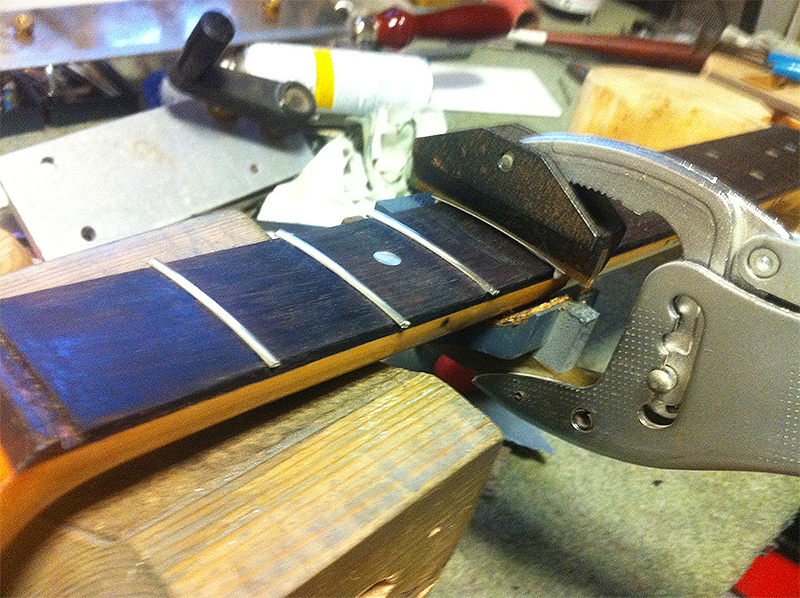 The frets on this guitar had been dressed so low there was no more fret left to play on. 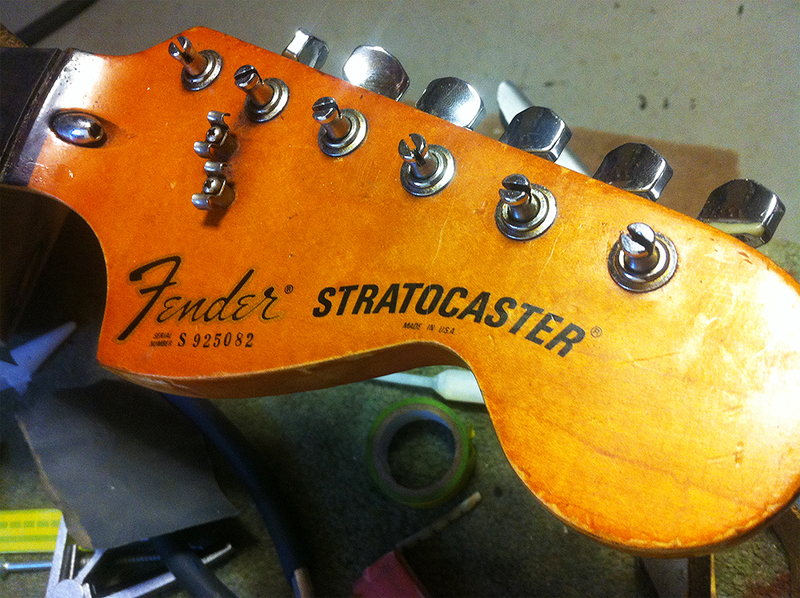 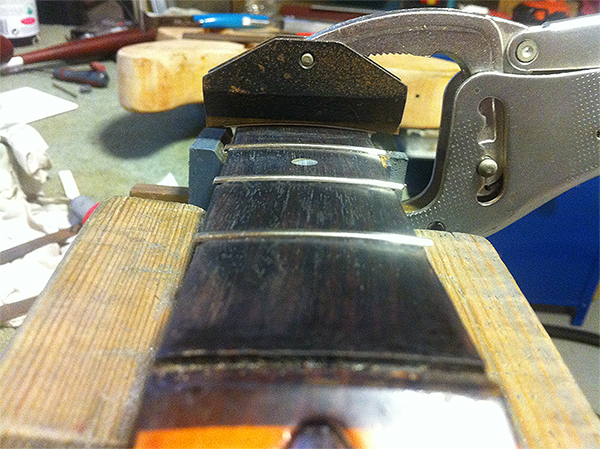 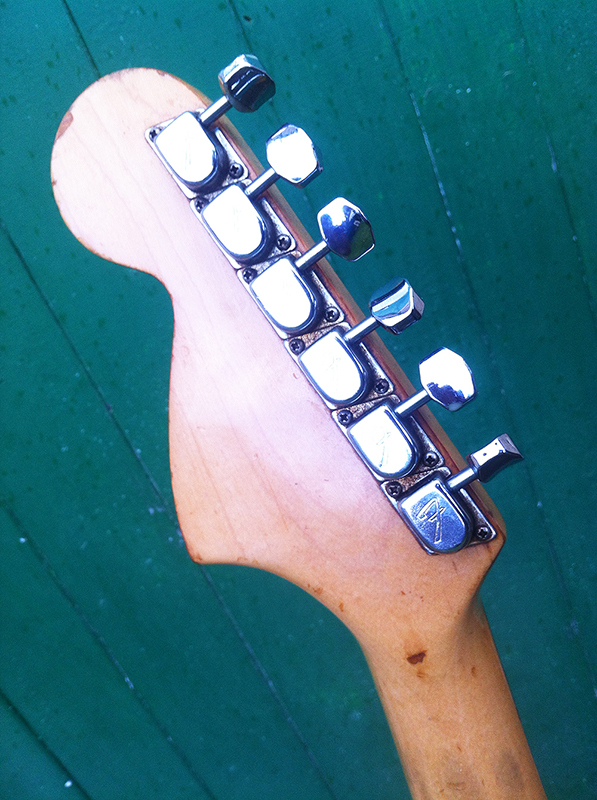 Famously Fender hammered these frets in sideways back in the day – but not this one. 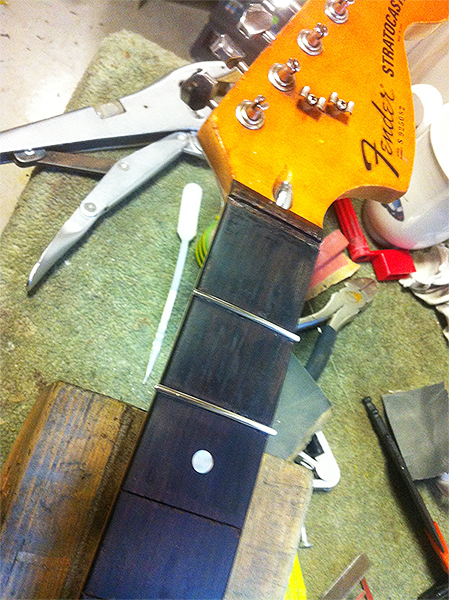 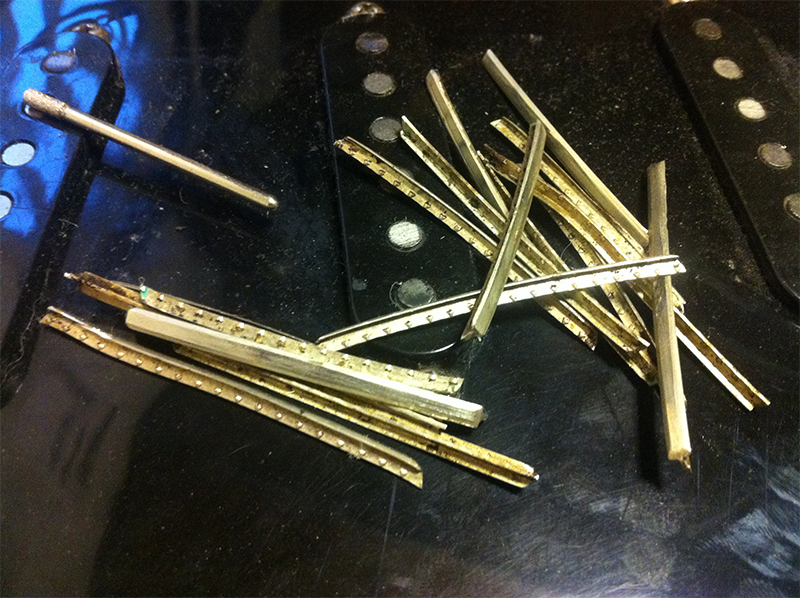 It seems to have been a custom order with extra wide jumbo frets – probably bass wire.